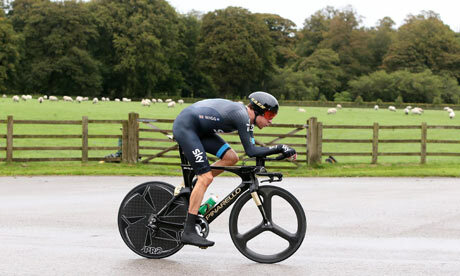 Sir Bradley Wiggins, after the ITT in the Tour of Britain overnight. He won. Now that’s commitment from a champion!